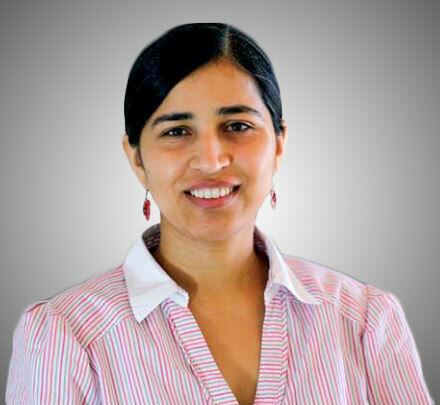 - Runs a full-service private practice with her partner, Dr. Gaurav Lakra, at Glenview Dental in Hamilton, New Zealand. Thank you for speaking with us. Please tell us about your experience learning orthodontics at POS. It was just great. I enjoyed each and every case and seminar during my studies. Even now, I always get a response and help on time from instructors. I graduated in 2013, class #13 in Sydney with the Honours award. I learned with a combination of both internet and live seminars. I traveled several times to Sydney and studied the other seminars online with IAT. Although I preferred attending live seminars to talk face to face with instructors, I also liked the IAT part as it gave me the flexibility of studying at my own convenient time. Why did you decide to learn orthodontics? I used to see lots of ortho patients and referred them out for braces. Orthodontics has always been interesting to me as every patient seems to be a potential ortho patient. After working in private practice for some time, I thought it was a good time to broaden my knowledge with new skills and it was well supported by my partner’s work. Are you still treating orthodontic patients after you've graduated? If so, how has it affected your practice? Of course, I have been loving orthodontics! Orthodontics has tremendously grown in my practice over the past few years. I’m always excited to see ortho patients and they are excited to see me. Now I’m proud to say that I’ve treated more than 100 patients. Ortho has given me a chance to put a smile on many more patients and it has bought good revenue to our practice. Patients are always pleased to know that they do not need to walk outside for orthodontic treatment as they are more comfortable to get it done from their general dentist. It’s great to hear how happy patients are that you can help them in-house. When were you able to start treating ortho patients? My first ortho case was started at POS’ Seminar 2 and I finished the case around graduation time (approximately 1.5 years later). What were the most difficult things that you encountered when starting ortho? What would you do differently? Once I started many cases, I got too busy and did not pay as much attention to following the detailed treatment plan. Knowing what I do now, I highly recommend doctors to follow their plan, regardless of how busy life gets. This way they make less mistakes and save time in the long run. 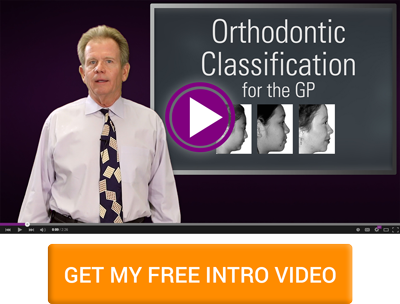 Did you take orthodontic courses before or after the POS series? Before POS, I had only basic ortho training which involved few days’ lectures but it was not enough to start a case and finish on my own. After POS, I also decided to learn with 6 Months Smiles since patients asked me about it. That’s interesting that you have a dual background in orthodontics with different philosophies. Why did you decide to learn short term orthodontics (STO)? I did not plan to offer short term ortho but started because patients requested cheaper options. Orthodontic treatment is not funded in New Zealand so cost is a big factor. As soon as I started telling patients more and more that they needed orthodontic care, they asked how long and how much would treatment be? Sometimes they could not afford traditional braces. In the starting days of my ortho career, 6 Month Smiles was just an additional service to stand out from the competition to get more orthodontic patients and to offer what patients could afford. Short term orthodontics was also a good option as a preparatory part of restorative and full mouth rehabilitation for patients who had good occlusion but just needed a little bit of alignment as a part of a full mouth make up. Have you seen any limitations with short term orthodontics? After gaining more orthodontic experience and knowledge, I am doing less and less of short term orthodontics as I prefer helping patients with comprehensive care. I now know how to talk to patients and convince them that the advantages of comprehensive treatment are worth the investment over short term alignment. I also now provide flexible payment options which makes it easier for patients to choose the more effective treatment. I still provide the 6 Month Smiles service wherever required. Since I want to do good orthodontic work, I do full records, treatment planning and case presentation for every potential orthodontic patient. When sometimes the patient accepts only alignment/straightening, I often use the IP Appliance® for a shorter period. If some patients prefer shorter treatment, is there a reason that you choose to still treat patients with comprehensive orthodontic care? Comprehensive orthodontic work is my only goal for every orthodontic patient. This is what I enjoy doing. Results are certainly amazing and satisfactory to both me and the patient. Since you’ve been successful in this field, do you have tips for doctors considering learning orthodontics? Do you think POS is a good program for general dentists looking into providing orthodontics? POS is a comprehensive orthodontic program and gives you the chance to do cases while learning. POS makes you a confident orthodontic provider. I highly recommend this program to my friends and any dentist I know. I’ve had a very good experience. The POS Family is always there to help. They bring out the best in you. Enjoyed Dr. Lakra's story? Check out this skeletal anchorage case she treated!